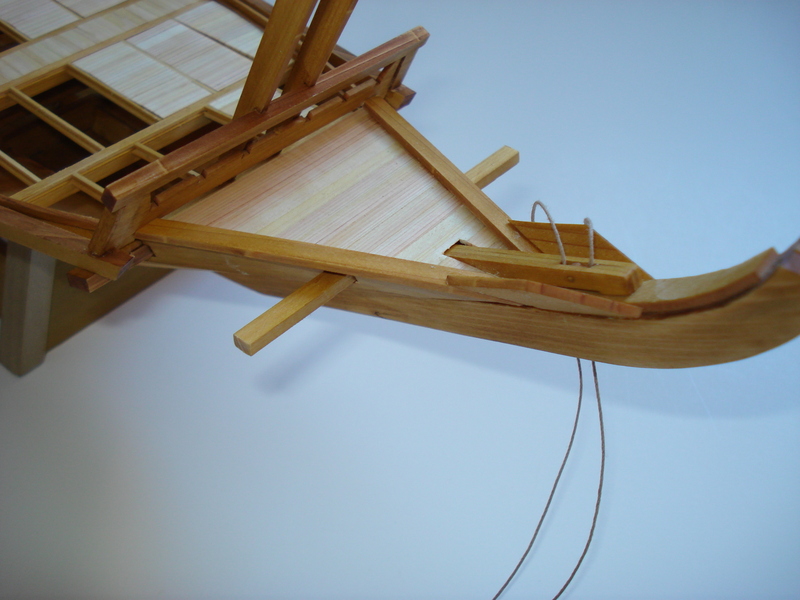 Building the Edo Period transport kit by Woody Joe of Japan. This week has been a kind of crazy week of dealing with the display of ship models. I now have 4 models out on display. Two of them are part of a display at the San Mateo County Fair headed up by the South Bay Model Shipwrights club. The other two are part of my own display that I’ve put together in the big window of Union Bank’s community room in Japantown, San Francisco. The models are my Higaki Kaisen and Hacchoro models that I built from Woody Joe kits. The display is my second now, and I’ve learned a lot from my first display that I put up earlier in the year. That display was small for the window area and the models were hard to see and the display was not very attention grabbing. This time around, I’ve had posters printed up using some new photos I’ve taken. I mounted these on foam core poster boards and also set up a large display board with 8″x10″ photos showing details of the models. To make the models easier to see, I removed them from their cases and raised them up closer to eye level by placing them on some pedestals I made from MDF board. At the last minute this morning, I cut some acrylic sheet into strips and made some plastic clips to hang the posters from. The strips were cut to size and drilled and then heat bent to shape using a small torch. They aren’t perfect, but they work. Late this morning, I crammed everything into my car and drove to San Francisco to set it all up. 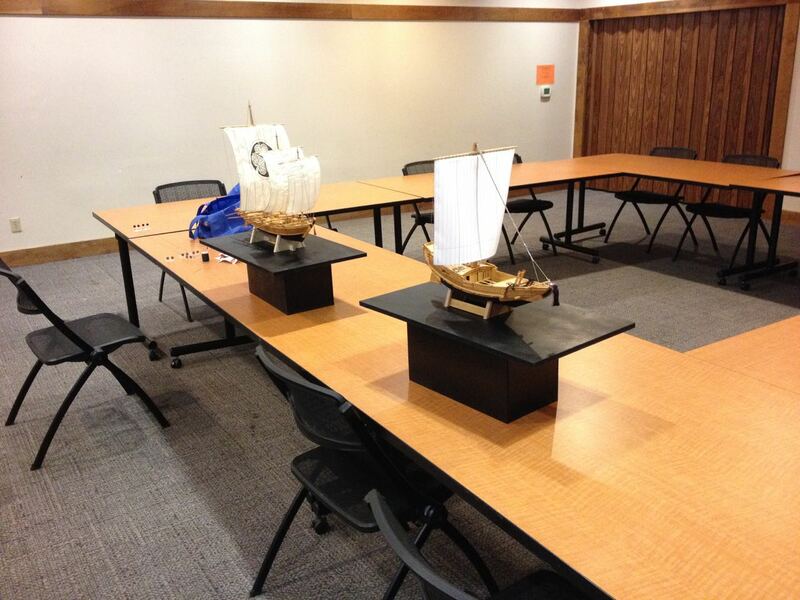 Models set up and ready to put on display. Homemade clips for hanging the posters. This time, with all the display elements, it took me a lot longer to set up than I’d expected. I could imagine what it’s like to work setting up displays in department store windows. Overall, it was a good 45 minutes to bring everything up from the parking garage and to set it all up. The posters and the hangar clips took the most time to set up so that the posters hung at the right heights. I felt I was kind of rushing the layout. It would definitely be helpful to get a second person to help with this so that one person can look at it and recommend adjustments while the other put the display elements into place. In the end, I think it all worked pretty well and I’ve definitely got thoughts of Wasen Display 3.0 starting to develop. Having the third model will be good, which will most likely be Woody Joe’s Yakatabune as that’s a nice looking model and a quick build. Photo Board and Hacchoro model. Note the hanging posters. One thing I realized was that every time I’m in the mall where I have time to take photos, it’s roughly noonish and the sun comes streaming straight down through the skylights in the mall. So, I mostly get a lot of glare in these photos. I think at other times of the display, it is much easier to see the models and photos. I’m going to have to check out that theory and take some photos maybe late in the day or evening early evening. Maybe I can get some decent photos of the display then. A much improved display over the last one. Wasen Display 2.0 will run from Friday, June 5th through Friday, July 10th. I hope you will stop by to see it and let me know what you think! 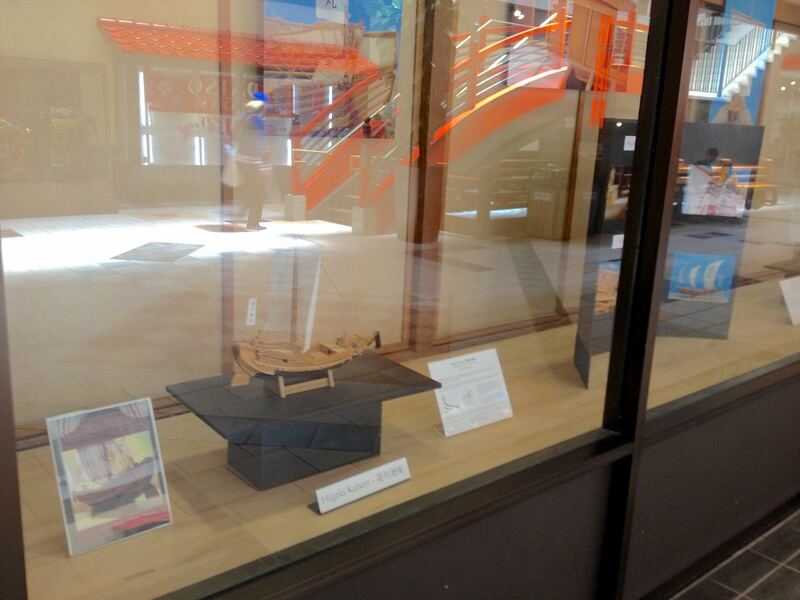 It’s official, my Higaki Kaisen model is now on display in the East Building of the Japan Center Mall in San Francisco’s Japantown. 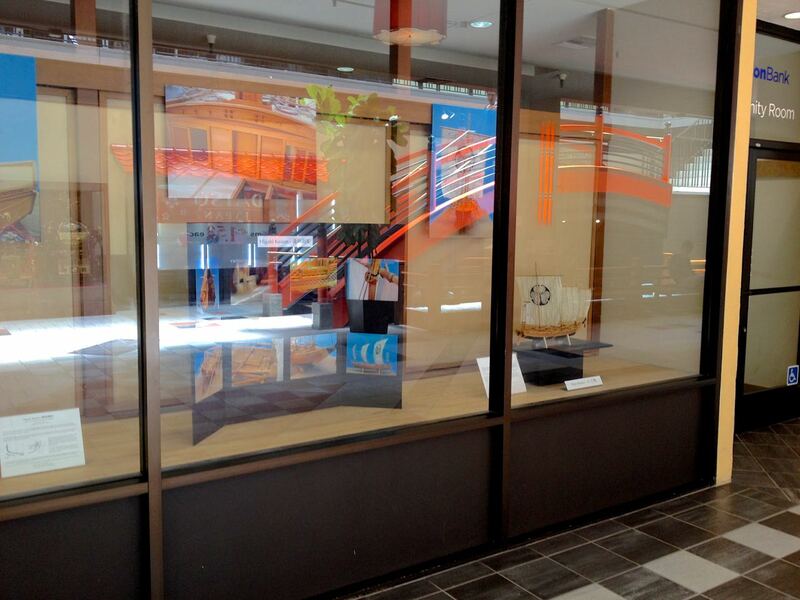 The model is in the window display of Union Bank’s Community Room. The model is in a case made using a Woody Joe case kit. I made a couple informational displays to go with it. Sorry about the quality of the photo. Shooting through glass in brightly lit open area doesn’t work out so well. 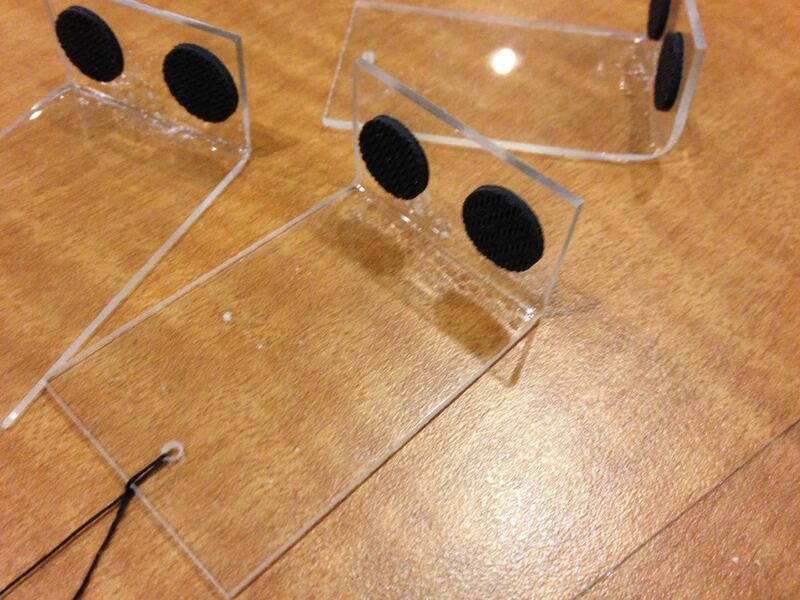 Maybe with a polaroid filter – do they make those for iPhone cameras? 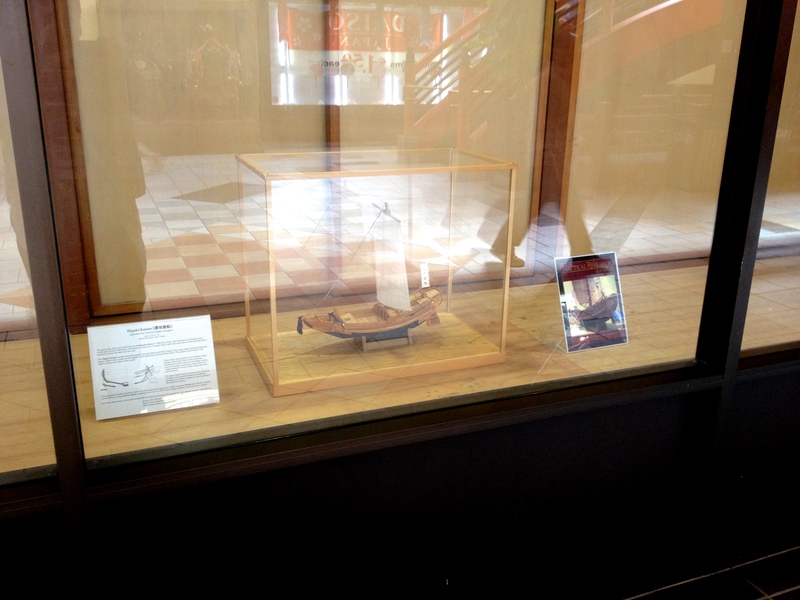 My Higaki Kaisen model in the window display at Union Bank’s Community Room in San Francisco’s Japantown. The bank administrator was very happy with the display and cleared out all the general promotional bank stuff that’s normally in there. 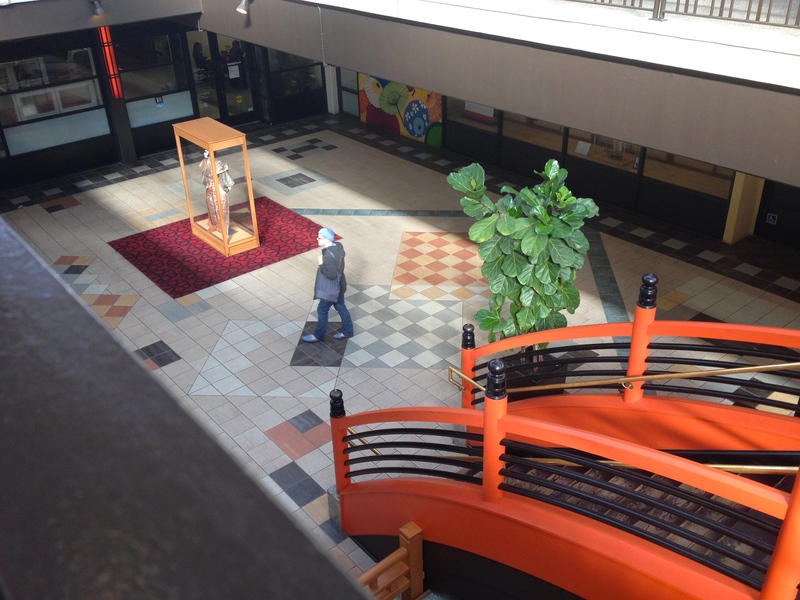 The model will be on display from now until about April 3rd, when SF Cherry Blossom set up takes place and a Japanese doll display goes in. We’ve already discussed the possibility of bringing the model back after some time in May when the display case may become available again. 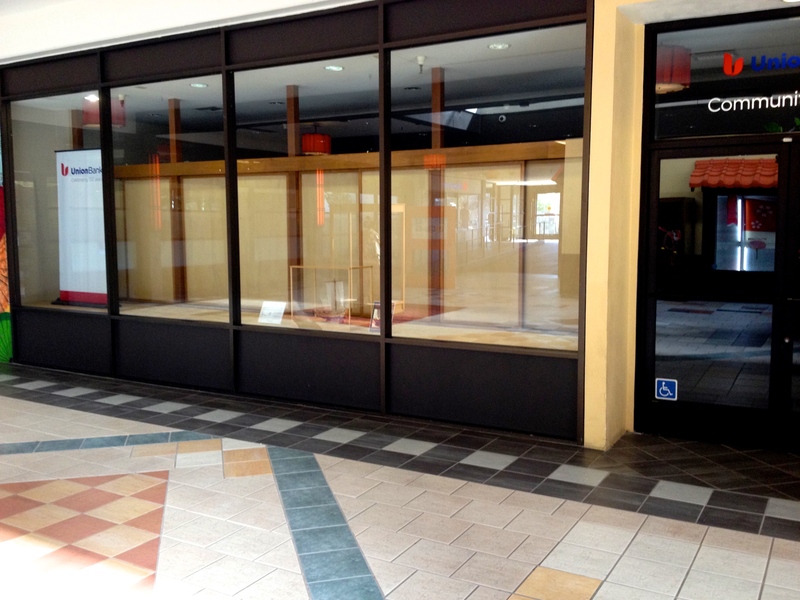 The display is right off this open courtyard. What looks like a bridge is actually a stairway. 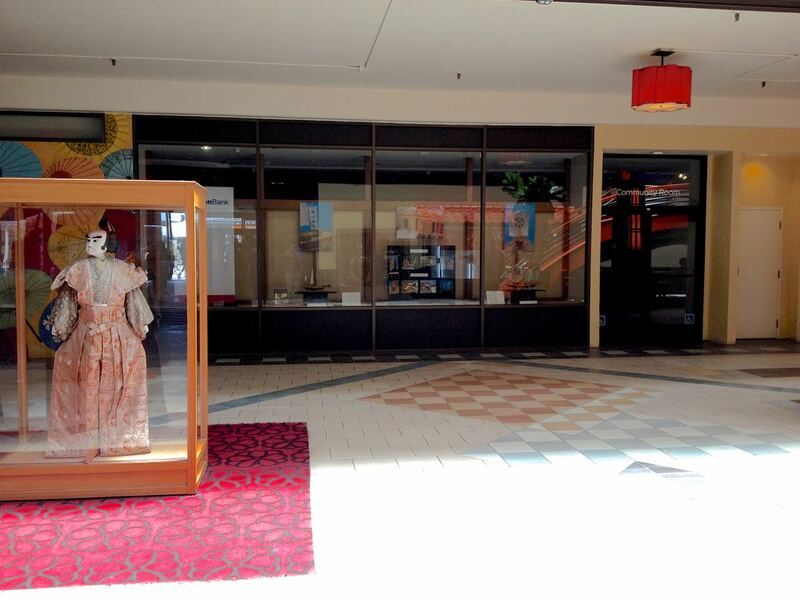 The only thing is that the model looks awfully lonely in the big display window. We both agreed that there should be two other models to accompany it – the display window is just laid out perfectly for that. My model seems sad to be all alone in the big window. Now, I do have a partially completed Hacchoro model, which will actually be larger than the Higaki Kaisen model since it is at 1/24 scale. I just need to finish it and get another display case. Not sure what to do about the empty third spot. I have the large Sengokubune kit, but it’s unstarted, and there’s no way I can justify taking the time to build it with all these other projects waiting for me. 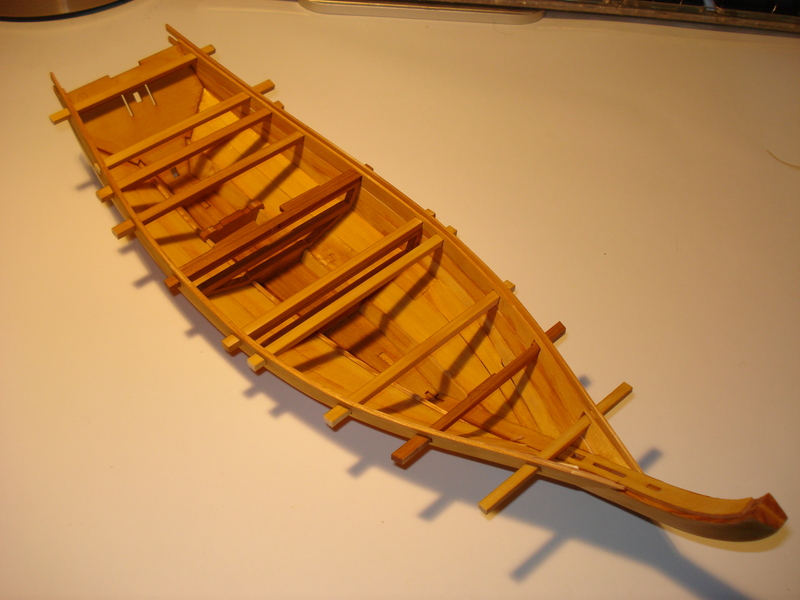 Woody Joe’s 1/24-scale Yakatabune kit is a possibility as it’s almost identical to the Hacchoro in construction except that instead of all the oars and sails and accompanying details, it just has a deckhouse. That would be a pretty quick build and it would fit the theme very well. Lastly, because of the low position of the floor of the window display, a friend of mine was suggesting maybe putting in some kind of box stand. I suppose anything would work. Lot of possibilities here. Almost screams for some kind of diorama. 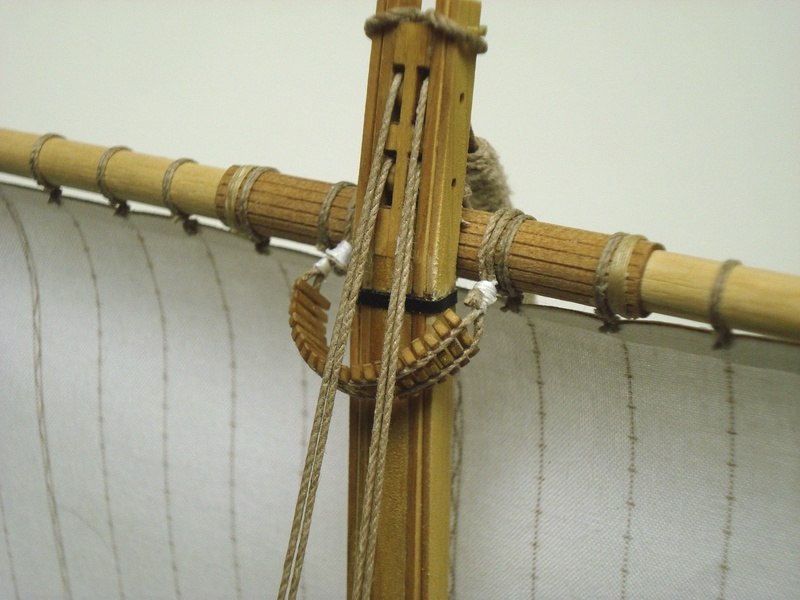 I got a nice surprise a couple months ago when the editor of the Nautical Research Journal, Paul Fontenoy, asked me to submit a short article on my Higaki Kaisen model. So, a while back, I sent him some photos to use and a very short write-up with some captions to accompany the photos. Then, I got an even nicer surprise when I was told the model would appear on the cover. Having been an NRG member/supporter and having long admired the models that have graced the pages of the Journal, this was a really tremendous honor. Now, I’ll have to admit, it really the model subject and the uniqueness of the kit that got the model on the cover and not my artistry or craftsmanship. But, still it’s pretty nice to see it there. Of course, being that I’ve been advocating Woody Joe kits here, it’s great to get people’s attention this way. I got an extra copy of the issue and sent it Woody Joe and they should be receiving it any time now. I’m sure they’ll be very happy to see their kit receive such attention. The timing of this article probably couldn’t be any better, as I just submitted the proofs for my Higaki Kaisen kit review article, which will appear in Seaways’ Ships in Scale in the next few weeks. As for my history/build article for Ships in Scale, I’ve been getting pretty distracted with all the projects I’m trying to get done. But, with these articles both out in August/September, I’ll need to get back on it very soon. 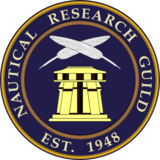 But, while I’m mentioning the NRG here, I would like to say that this is a really fine organization, dedicated to ship modeling, and it deserves and needs your support. It’s not all academic and it’s not about being “purists” or anything of the like. The tagline “Advancing Ship Modeling Through Research” is just to say it’s about making better models, it’s about helping the modeler make better models, it’s about getting help to build better models. Seeing my own model on the cover, I can’t help but wonder when the last time was that a kit build was featured on the cover? Times really do change. So, join the NRG. It’s a great organization, you’ll be supporting a great cause (ship modeling) and you’ll get your quarterly issue of the Journal! While I finished my Higaki Kaisen kit some time ago now, it recently occurred to me that some builders may have trouble with the Japanese characters for the nobori or the banner at the stern of the ship. The kit provides a blank piece of cloth for this, so if you don’t know how to write in Japanese, what do you do? Well, maybe this will help. Below, I’ve put a couple names together in Japanese. If all else fails, copy these into your word processor, enlarge them, arrange the characters so that they are oriented vertically and print them out on regular paper. Make the banner out of that and at least you won’t have a blank banner at the stern! I don’t know how symbolic or imaginative coastal transport names got, but you might also just do a google search for your favorite Japanese symbols like the Pine Tree (Matsu), or the crane-tortoise (tsurukame), thunder god (Kaminari), mirror (kagami). If you can find the characters on a website, you can copy them and print them out for your own use. After a few marathon ship modeling sessions over the past week or two the Higaki Kaisen model is done. Well, more or less. I got through the last of the construction steps, but still have a little cleanup left to do and tying off of some odds and ends. Today, I finished the task of the name banner that flies at the stern. This a traditional style Japanese banner called a “nobori”. This one consists of a flag pole with a cross pole at the top. The banner has loops of cloth along one edge and across the top that fit the poles. The includes cloth for making the banner, but you’re supposed to write the ship’s name on it. Since I can’t write kanji, I resorted to printing the name onto paper using my computer. For this ship, I chose to use the name Kakehashi (kah-keh-ha-shi), which is means bridge or connection. 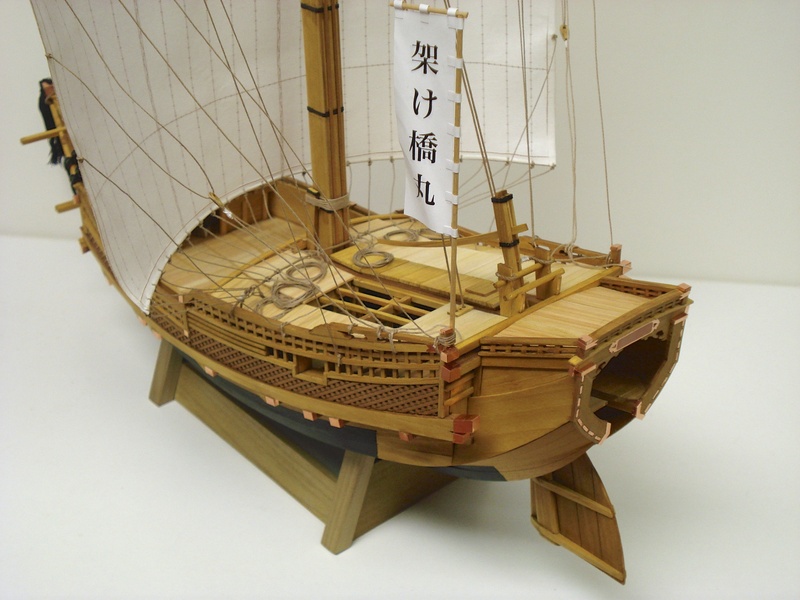 In this case, the model is something of a bridge between my interest in ship modeling and my interest in my Japanese heritage. Actually, the full name of the ship is the Kakehashi Maru – Maru is a suffix that is used for ship names. This is definitely not the kind of model that gets easier as one gets near the end. Rigging the sail was quite a challenge with 38 lines tied to it’s edges. What you might call the sheets consist of 13 ropes tied to the foot of the sail with the other ends tied to a heavy rope that runs between the bulwarks railing. I had quite a time adjusting these lines to get the sail shaped the way I wanted. In the end, after I got the lines all about equally tensioned, I realized I wasn’t all that happy with the shape the sail had taken on. But, with so many ropes and knots, I just adjusted the sail as best I could. 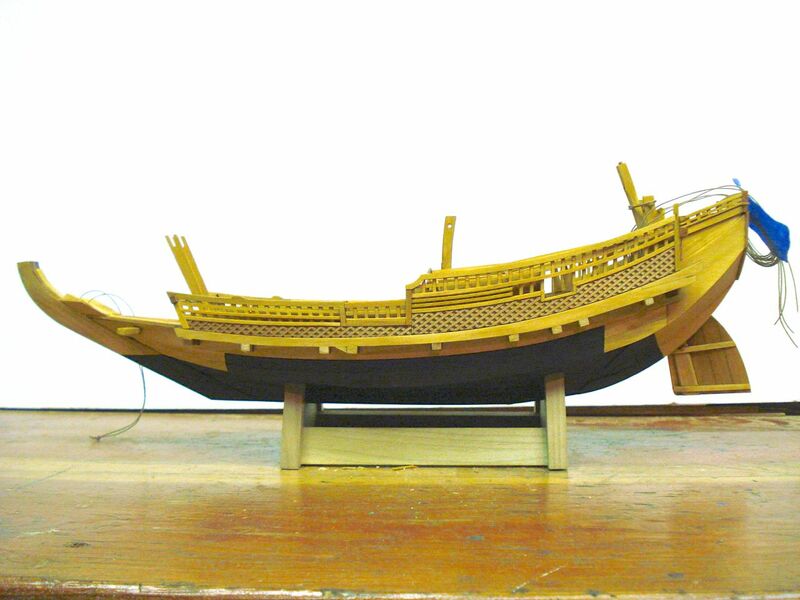 The next day, I looked at the model with fresh perspective and was much happier with the sail. One of the last things on the model is the adding of the copper capping. Copper caps cover the end up many of the beams. 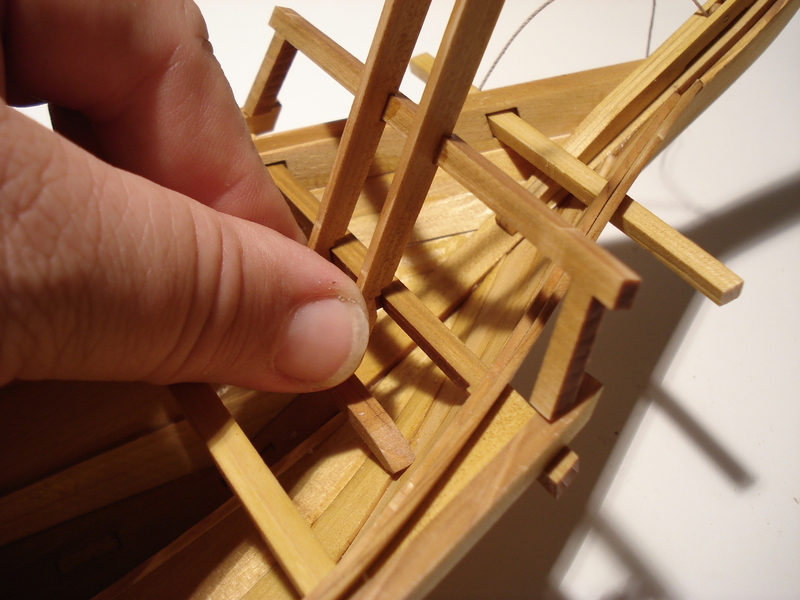 At the stern, small copper strips simulate the nail covers. So much copper is added at the stern, that this section appears quite ornate. I ended up using contact cement to fix these into place. It’s a little messy, but seems to clean up fairly easily. Also, used properly, you have a little time to adjust the pieces after they are laid into place. But, be careful of the brand you use. Read the directions as some are specifically not to be used with copper. Other finishing touches included the anchors, the stay on the mast and all its details. There are still a couple things that I may yet add to this model. Often, ladders have been used on the main decks of the replica bezaisen to climb up on the main cabin roof deck without having to go inside the cabin, and the same for the forward deck house or Kappa (cop-pah). 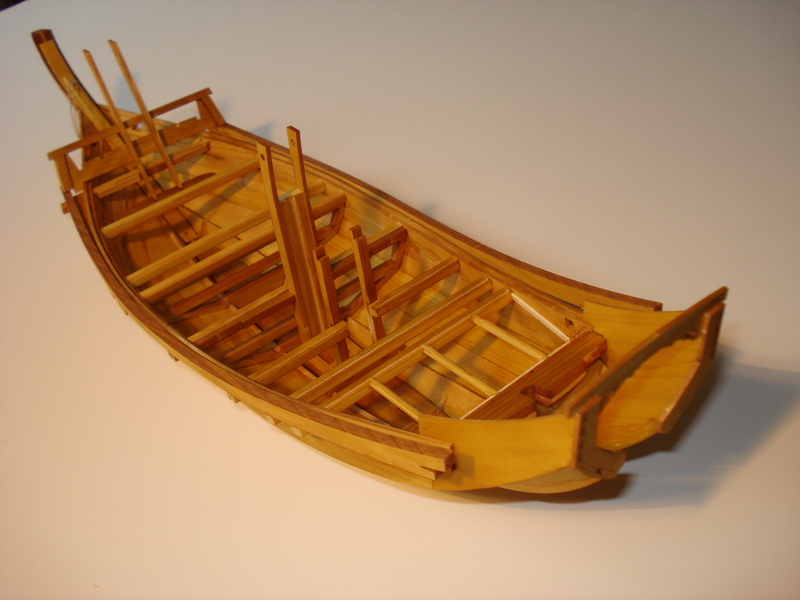 Also, these ships traditionally carried a small boat called a Tenma-Bune (ten-mah-boo-ney) which was used for going to and from shore or other ships. I’d like to scratch build one and add it to my Higaki Kaisen model, but we’ll have to see if my understanding of the construction of these Japanese wasen is up to the task. This has been a very different, very interesting, and extremely fun build. Woody Joe kits might seem a little pricey in the US, particularly for the small size of this model in particular. But, in the end, I think it’s been a great value. 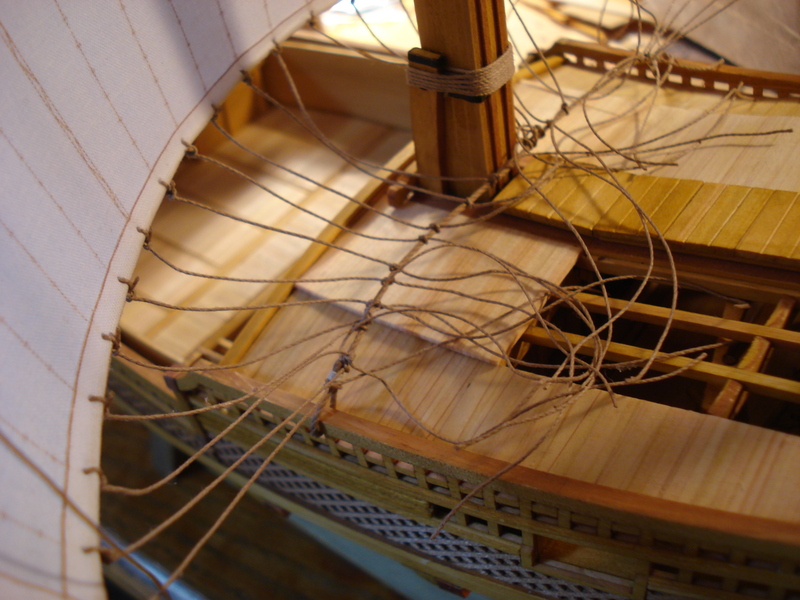 I’ve learned something about traditional Japanese ships and the model has been a great challenge. If you’re interested in the kit, there are a couple things you may find of interest. One is that there are a lot more Amazon sellers listing this kit, though they are almost all in Japan. But, I no longer see the price gouging attempts on Ebay and Amazon that I once did. My personal recommended seller does not have an Amazon store, but is, of course Zootoyz. And if you do buy from Morikawa-san, please tell him I sent you. But, another interesting turn of events is an importer that is reportedly bringing several Woody Joe kits to market in the US, primarily through Amazon, but with instructions he’s had translated into English. I don’t know what they’ll end up charging for the kits, but it will probably be more than what you would pay for the kits directly from Japan. 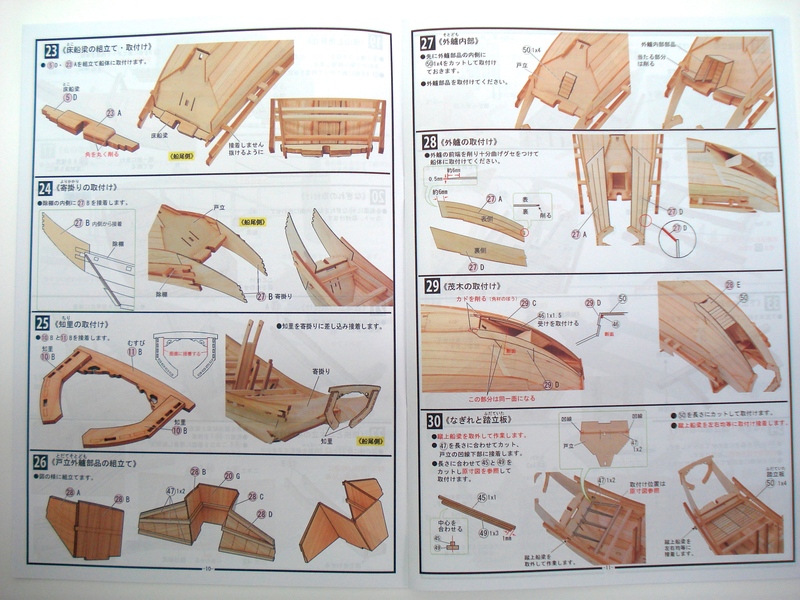 Of course, with the kits from Japan, you’ll have to deal with Japanese language instructions. But, as I mentioned before, the instructions are very well illustrated. For the Higaki Kaisen, there is of course this blog, but also my plan is to write up a multi-part article for Ships in Scale magazine that should take the guess work out of the Japanese language instructions. So, stay tuned, Higaki Kaisen fans. There should be more to come! The last time I wrote about my experiences with Woody Joe’s Higaki Kaisen kit, I described the issue of interpreting the Japanese instructions. The main issue there being that some steps in the instructions tell you not to glue certain parts together, and if you’re not aware of them, you’ll run into a few problems. Well, I can tell you now that there is much more challenge beyond just watching for those key steps. I’m over 80% complete with this model and it’s been weeks since I’ve had to worry about not gluing certain pieces together. 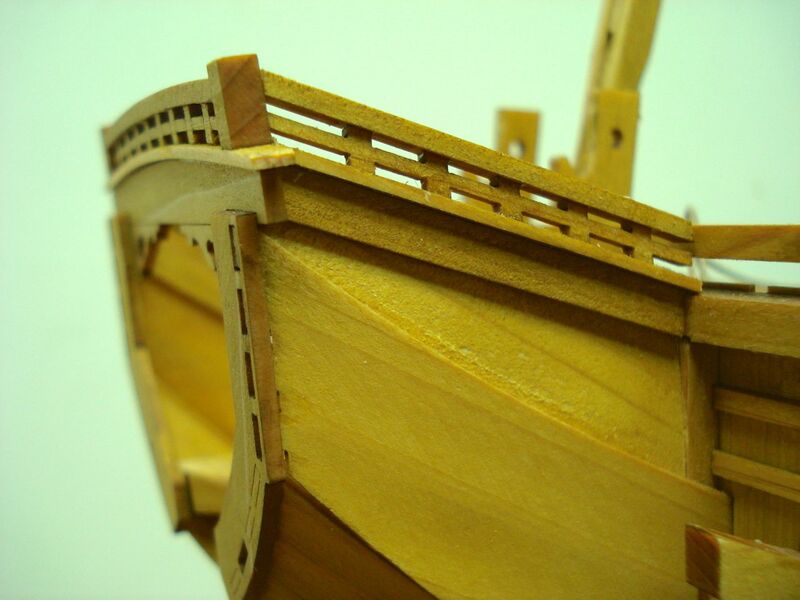 Instead, the main challenge of the ship model is cutting and aligning strip woods and laser-cut parts in the construction of the upper works of the ship. Things slowed down quite a bit as the main effort has been with the final alignment of parts. All those earlier steps where parts were put into place now come to the test – How good a job was done on alignment of the parts in those early steps? Now parts are put into place and the you find out if they fit correctly. In my case, there are some places where I found that parts were not quite where they should have been. In most of those cases, there was nothing terrible that stood out. However, I did end up with a gap when fitting a particular laser-cut piece into place in step 60 (out of 90). This step involved the completion of the upper works at the stern or what might be termed the poop. Because I didn’t have everything in perfect alignment in an earlier step, I ended up with a slight gap later. This might not have been that noticeable, but I thought it best to fix the issue. There’s nothing that says you have to use the laser cut parts in the kit, so I simply took some of the scrap wood and fashioned a replacement. Alignment of the replacement piece. The completed stern and deck. Another place where alignment issues came up was with the inner and outer upper walls, or bulwarks. In many ways the walls are somewhat “free floating” and don’t depend on each other too much, particularly around the main cabin. However in a later step, step 69, your supposed to fit 3mm wide stripwood pieces between them. 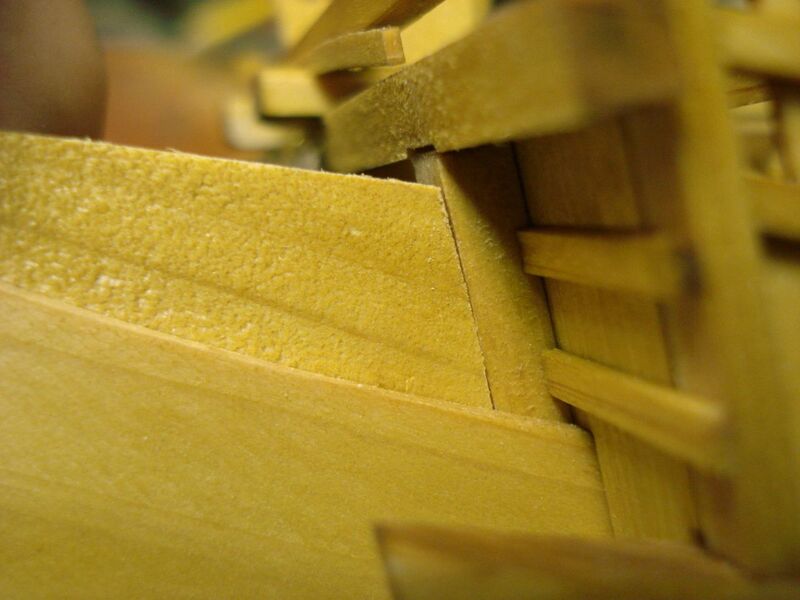 In my case, the separation between the walls was close enough to 3mm to work in one spot, but the other spot where a stripwood piece was to fit, the separation was closer to 4mm. Fortunately, this didn’t affect anything significant, and I was able to use a 4mm wide strip instead. Different width stripwoods to make up for alignment issue. 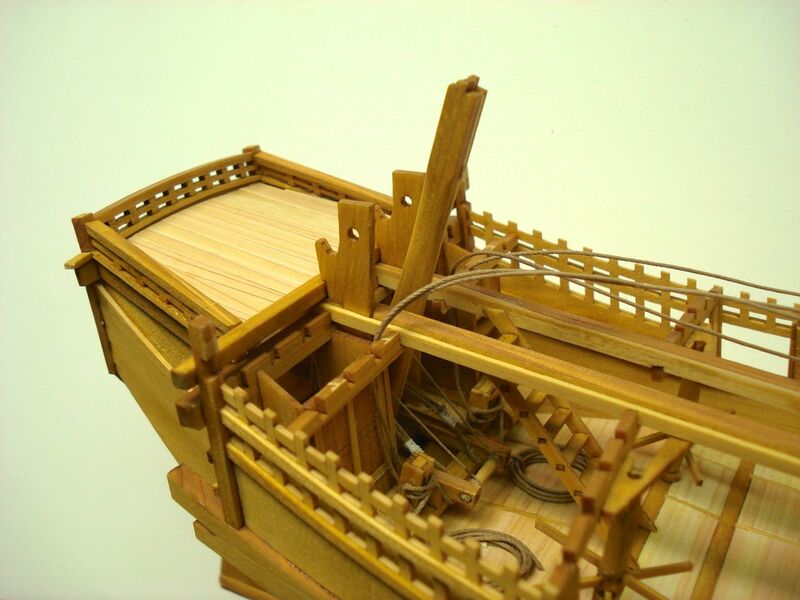 Overall, I’d say that Just about two-thirds of the way through this kit, it kind of changes from being an assemblage of pre-cut parts, like a plastic kit, to the kinds of work you might normally expect in a wooden ship model kit. There’s a lot of cutting of stripwoods and a lot of time is spent doing a final fitting of railings, trim, etc. Steps 64 through 67 involve the construction of the main cabin roof or quarter deck. While I cut and fit the beams into place, I decided to hold off on gluing them in or planking until I figure out how I want to display the model. 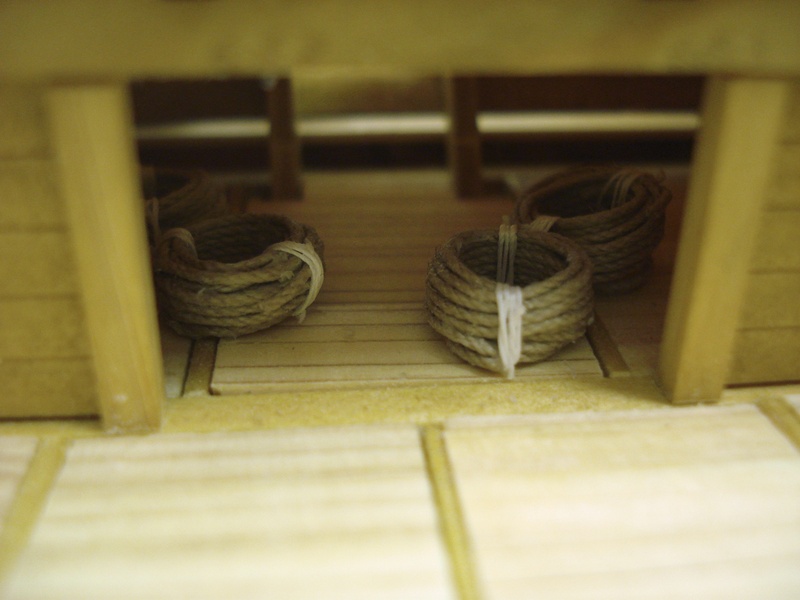 The instructions show an example of how to show off the interior detail, but I’m still thinking about it. Cabin roof beams fitted, but not glued in yet. Before continuing, I decided it was time to paint the lower hull. This is not a step described in the kit, but bezaisen seem to have been painted black in a very particular way that doesn’t exactly follow a waterline. 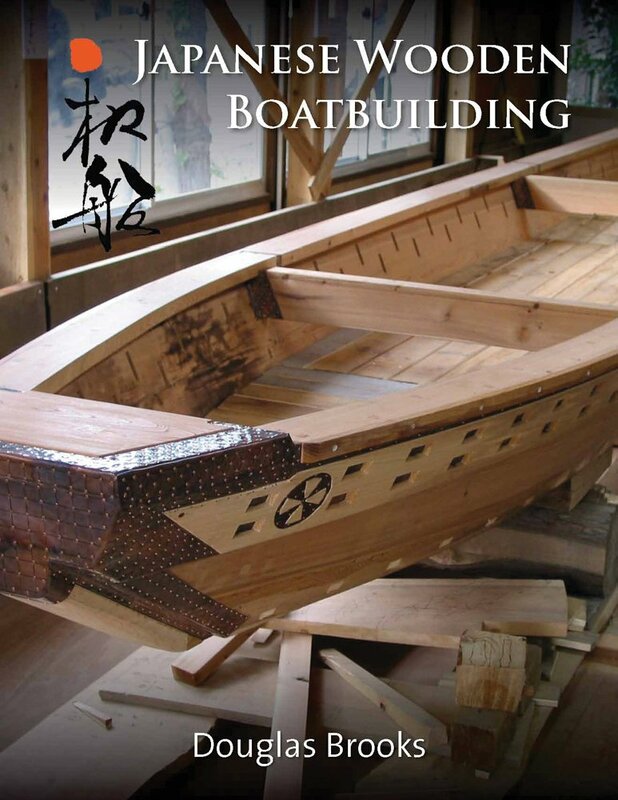 I used available drawings and photos of replica ships as my guide. This photo was taken after I completed the outer hull wall and details. The last thing I’ll mention here is that adding the outer hull walls or bulwarks was extremely satisfying as this is when the ship pretty much looks like a bezaisen. 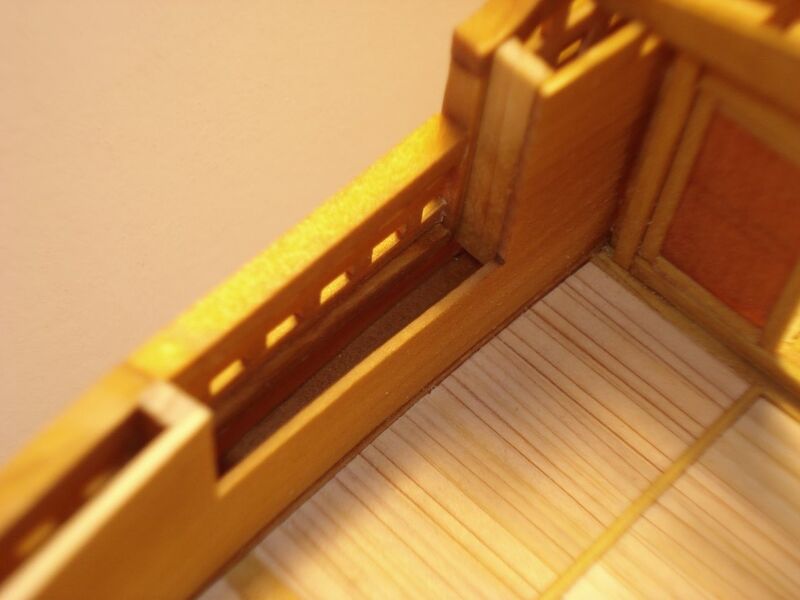 The lattice work of the Higaki Kaisen is very thin and delicate because of the laser etching on the surface. It had to be trimmed very slightly to fit, and took a lot of care to keep from ruining it, requiring a very sharp blade. I used just a light touch of wood glue on the back to make it just tacky enough to hold it. I’ve had the Higaki Kaisen kit for close to two months now and I’ve been working on it pretty steadily except for about a 2-week period where I couldn’t due to the holidays and a shoulder problem I had. But, I’ve had a chance to work on it again and develop some more thoughts on the kit itself. This is still a really fascinating kit and at about half-way through, it’s still fun and challenging. I’m spending a lot of time now on interior details and I’m finding that the level of challenge seems to be increasing as I get further along in the build. But, my comments on the amount of care and patience needed still hold. You really want to study the illustrations very carefully, and at this stage, you also have to be consulting the plan sheets to check measurements for the deck beams and such. I’ve had a chance to go over the text in the instructions with someone who can read Japanese and, had they been written in English, I think it wouldn’t make all that much difference. Much of the text is there to remind you to be careful or to watch to make sure you glue a piece on with the correct side up or make sure that you line up the parts along the edge. Most of these things you can get from close study of the illustrations. Here’s a helpful clue to successful build of this model: There are times when you are not supposed to glue parts together. 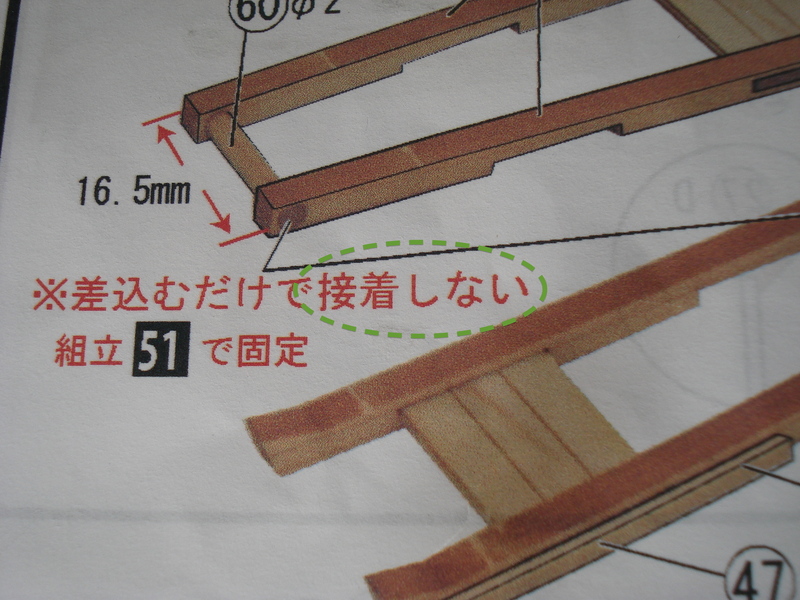 Of course, this instruction is given in Japanese. However, it is always noted in red and if you can spot the Kanji (Chinese characters), you can “read” these most important instructions. The text to watch for is 接着. These are the characters for “bonding” or “gluing”. If these characters are followed by either of the negative verb endings しない, or しません, then don’t glue the indicated parts. 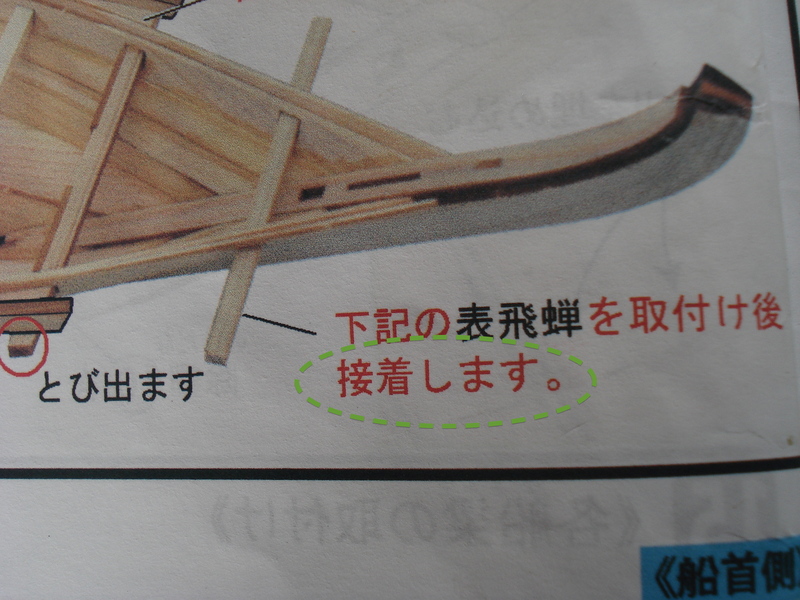 When parts are to be glued together, the characters for gluing (again, that’s 接着) are usually followed by しますor する or simply have no verb ending at all. This might seem like too much to deal with, but actually there isn’t a tremendous amount of text to follow. There is no separate written paragraphs of instruction, unlike in many Western kits. All the instructions are in simple steps, so there are only a few sentences with each illustration. Also, the text to watch for will be marked in red. Finally, Japanese verbs come at the end of sentences, so they’re pretty easy to locate (plus, the Japanese period is an open circle “。” – easy to spot). 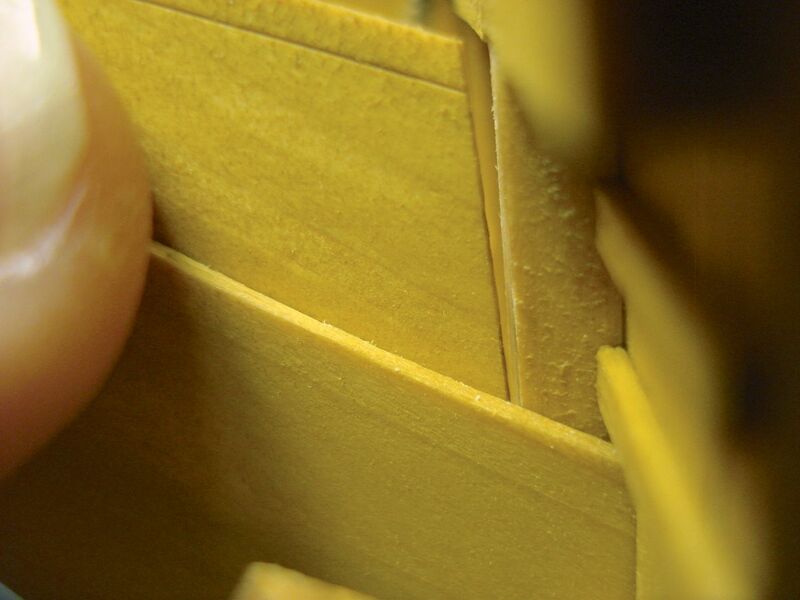 Above is an example of a piece not to glue into place. In this case, you are just using the piece to aid in getting a proper angle on the cross-beam. I circled the important text in a green dashed line. Here is another example where you are instructed not to glue the dowel in place. If you look ahead in the instructions, you will find that you later need to be able to push the dowel out temporarily. I include this to remind the builder to look carefully as the text telling you to glue the part is similar to that which tells you not to glue. Proceed slowly, look ahead and study illustrations carefully. I recommend going through the whole instruction book and searching very carefully through the text before beginning the build. Circle any occurrence of 接着しません or 接着しない to flag them so you’ll clearly catch them later. There really aren’t that many times that you have to avoid gluing parts, but if you miss the call to not glue, you’re going to be trying to pull apart parts at some point. On that matter, I’d also suggest that you glue sparingly. The parts in the kit are pretty light and don’t need much glue to secure them. Alignment of parts is probably the trickiest part of this build. I’m finding it best to read ahead in the plans, see what parts are in contact with what and do a lot of test fitting. In some cases, I found it best to jump ahead on some small sub-assemblies to make sure they’ll fit into place properly when the time comes to glue them into place. I’m about half-way through this model and I’ve run into mistakes I’ve made, most of which I was able to fix one way or another. In most cases, I glued where I shouldn’t have, but was able to pop glue joints loose to make corrections. There was one issue with the hull planks where they didn’t come together too well and I ended up having to fill a small gap, but that shouldn’t be too noticeable in the end. 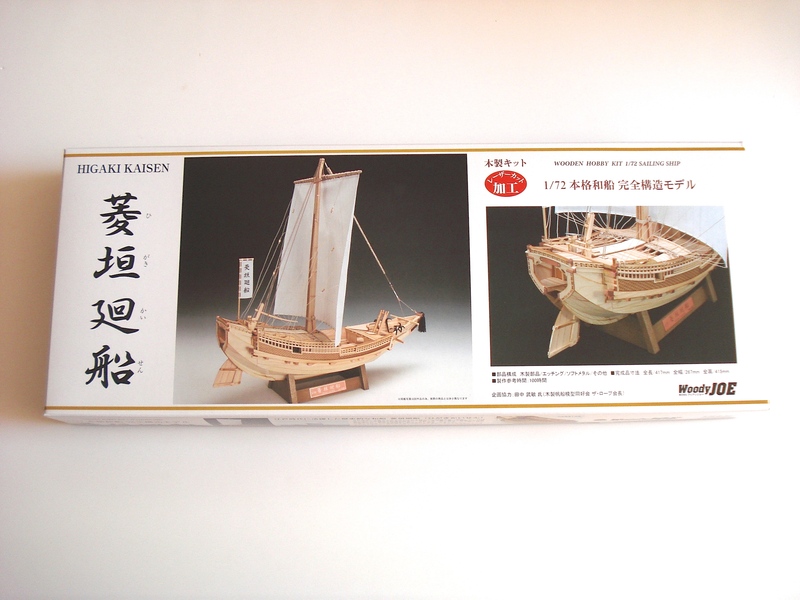 Recently, my kit review of Woody Joe’s Kanrin Maru kit was published in Seaways’ Ships in Scale and I’ve since begun looking at Woody Joe’s Higaki Kaisen kit. I’ll develop a complete review pretty soon, but I have had a chance to work on the model a bit and I do have some initial thoughts on the Higaki Kaisen kit. 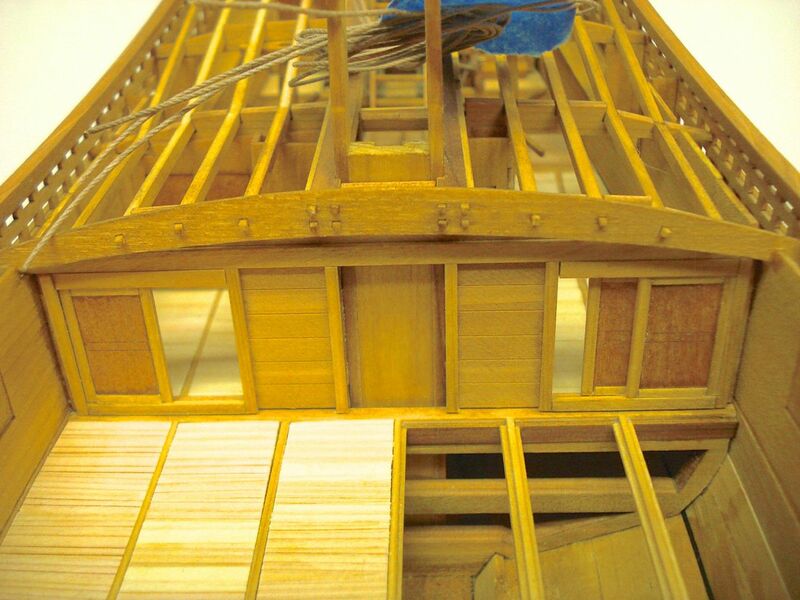 My first impression is that it’s a fascinating looking build of a traditional Japanese ship. 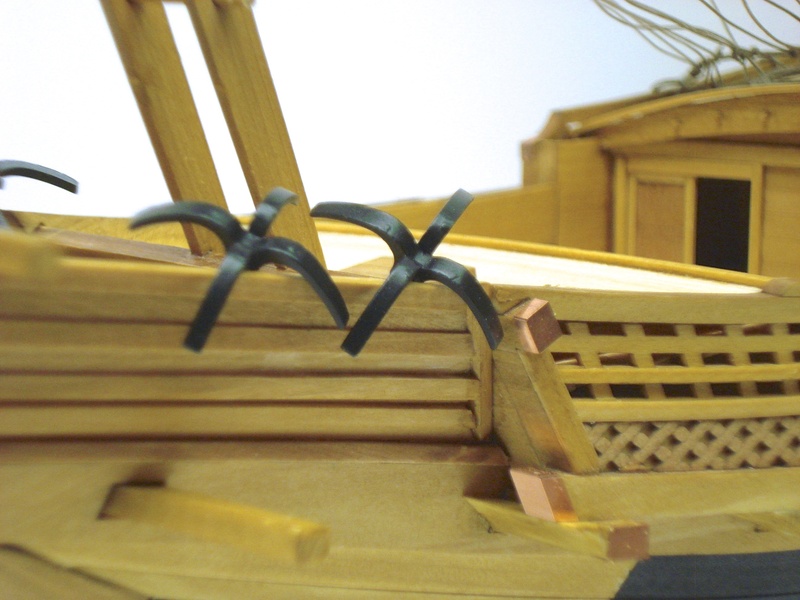 There are a lot of laser cut parts and it’s missing the traditional framework we’re used to seeing in ship model kits, but there is a small set of frames that make up temporary building molds that helps hold the hull parts in place during construction. 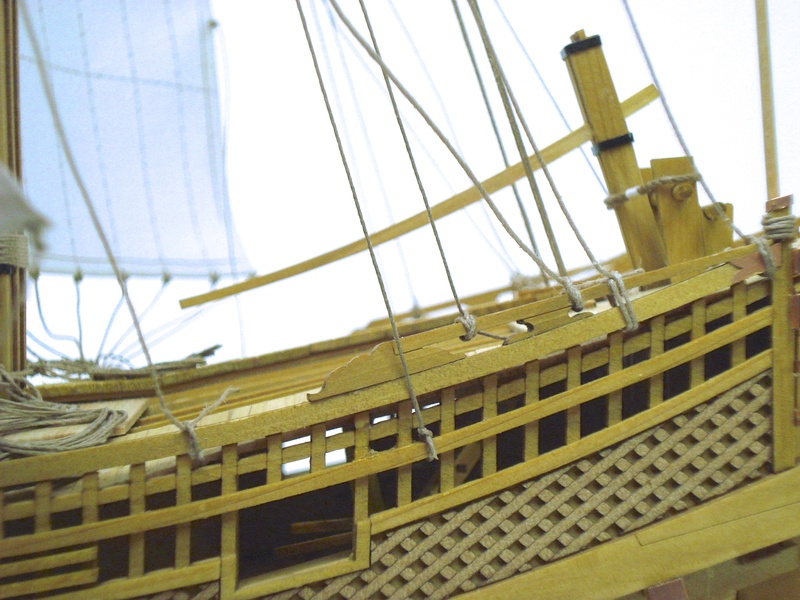 Building this model is very different than building a traditional ship model. In some ways, it’s a little bit like building a plastic kit in that there are so many pre-fabricated parts. But, the ship’s design is so different from Western ships that it seems like a lot of engineering had to be done to create the kit. This makes it a fun build, but it also means that parts have to be placed very specifically (unlike with most plastic kits which provide alignment pins), and if one part is not aligned properly, it will affect the fitting of other parts later, so it requires a lot of patience and care. This is not a kit that can be rushed. Looking at the manual in the kit, you can tell right away that this is an involved build – it’s 32 pages long and packed with illustrations. There are so many illustrations that you almost don’t need to know any Japanese to build it. Almost. 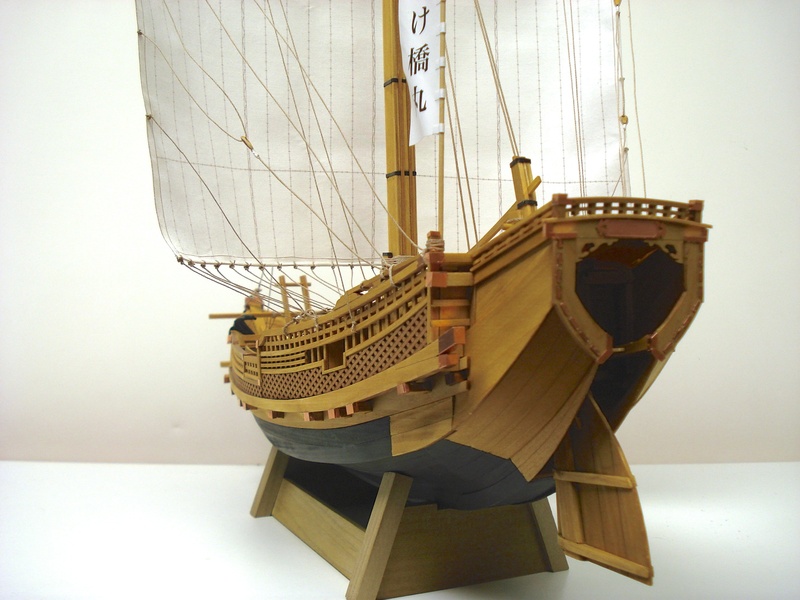 The Higaki Kaisen is not like the western style ship Kanrin Maru. 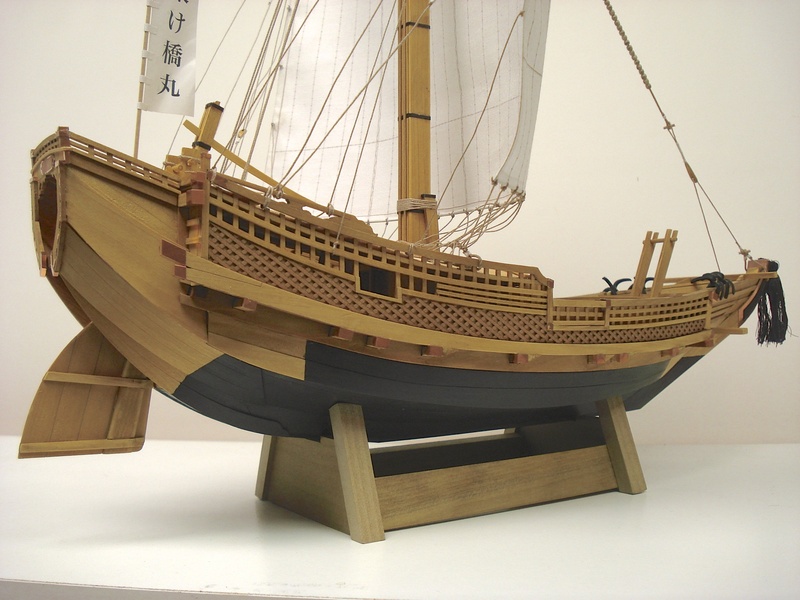 A ship modeler who builds the Kanrin Maru pretty much recognized the parts in that kit and has a general idea where things are going to go. If the part is not familiar, the placement in the illustrations are usually enough to clarify things. 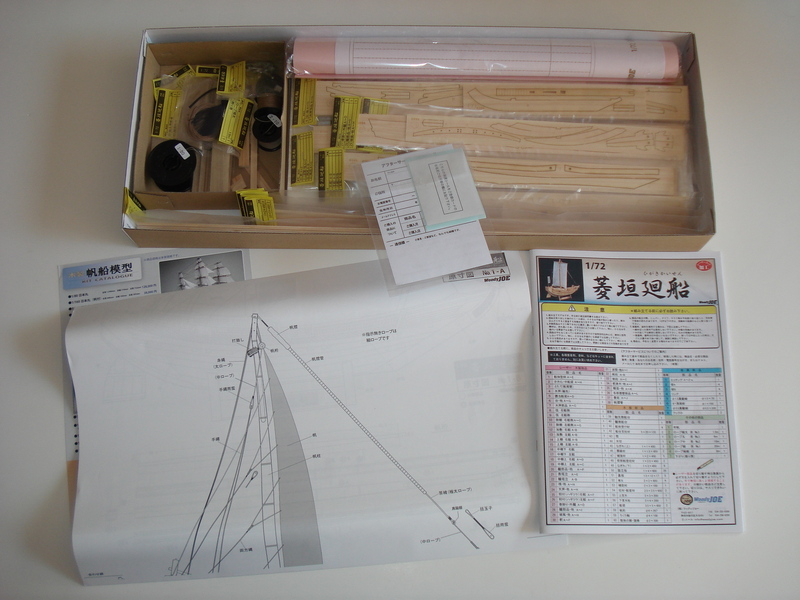 But, the average ship modeler looking at a part on the traditional Japanese style ship Higaki Kaisen is more likely to have no clue as to what the part is for or how it’s supposed to fit. 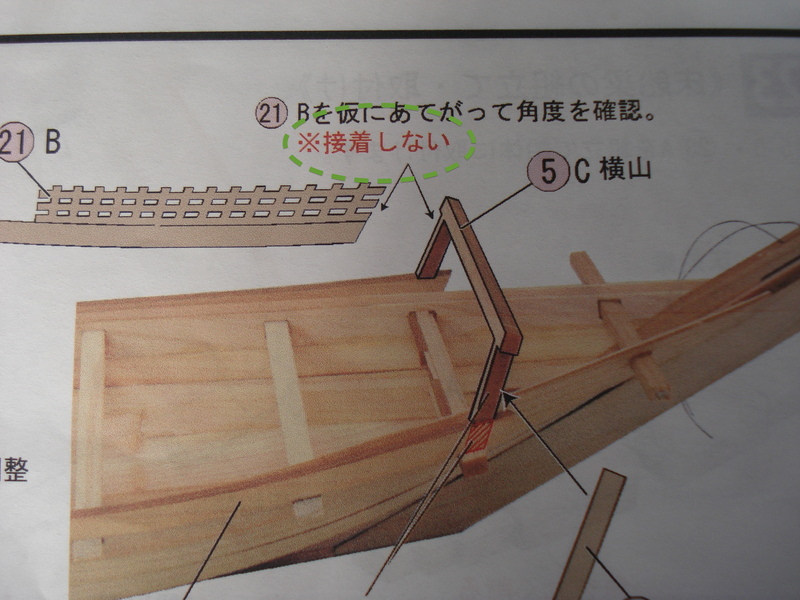 The illustrations in the instructions help, but there are many places where the builder is told, in Japanese, not to glue certain parts into place. And, if you have no way of reading that text, it’s going to be a problem. As I see it, the best way to deal with this is to either know someone who can read some Japanese for you, or to look for an English language guide to the kit. So far, I’m not aware of one, so if no one else does it, I may try to put something together. We’ll see. Even if you can follow all of the instructions, the unusual design of the Higaki Kaisen and the engineering that went into it sometimes requires steps that aren’t all that apparent. For instance, in one step, several beams are added and all of them glued into place except one, which must remain loose until a later time. Also alignment of parts is very critical, so you want to make sure you are extremely careful and look well ahead in the instructions to see what is going to happen later with the part you’re working on. It may actually make sense to jump ahead and fashion some sub-assemblies that are installed later, to make sure that the will fit properly with the parts you’re currently putting into place.